​"Thank you for the amazing healing experience, It was a true blessing! I fell better than I can understand or explain." 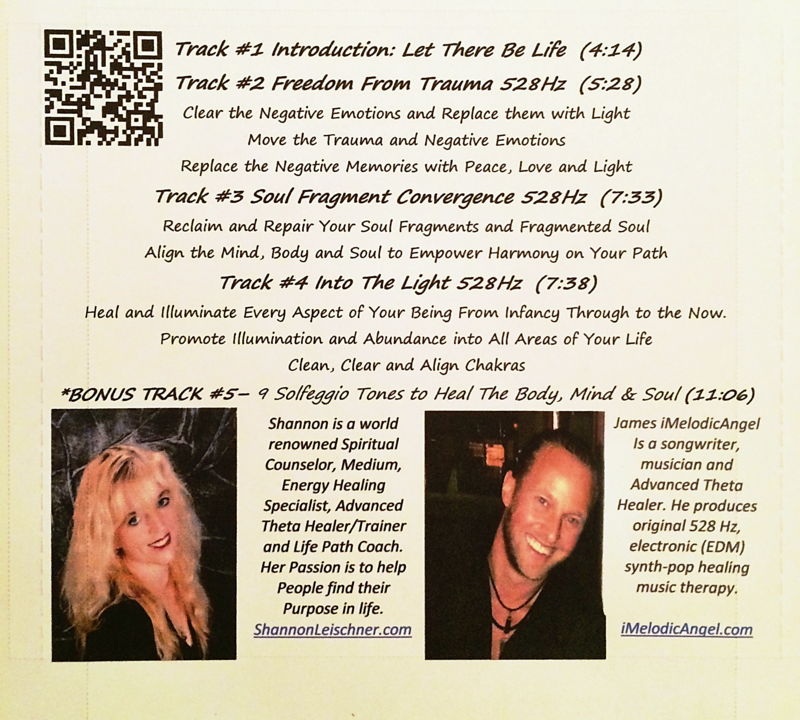 "I have chronic pain and numbness in my feet.Since I have listened to the CD, I have no more pain or numbness, WOW!" "While Listening to the CD I had an out of body experience. The energy of the CD was so intense! It is nice to have an uplifting song while being healed." memories are no longer an emotional trigger. 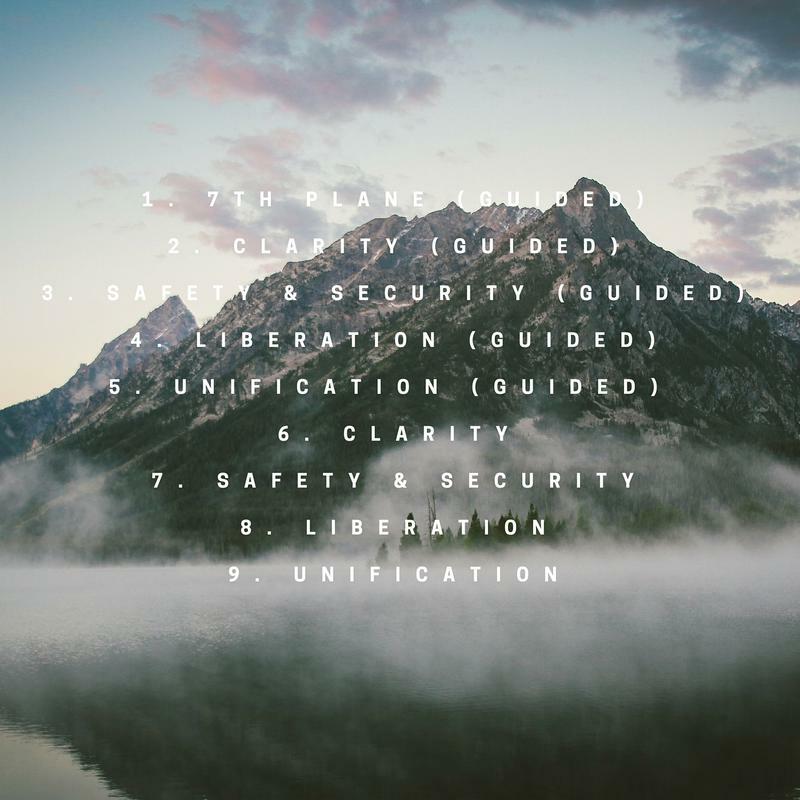 • Alignment of the Mind, Body, and Soul to create harmony on your path. 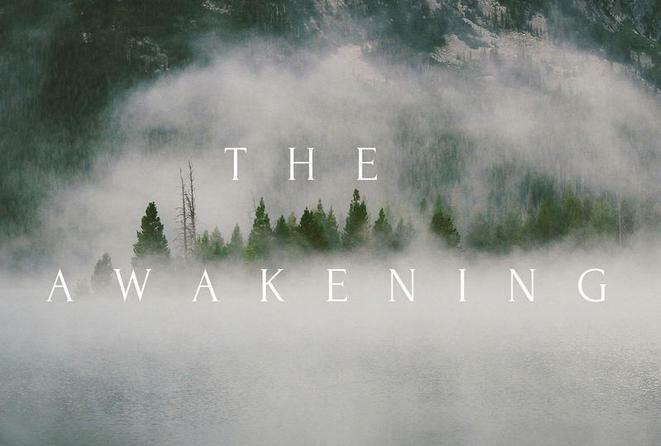 ​A traditional meditation track including a progression of all of the Solfeggio tones. 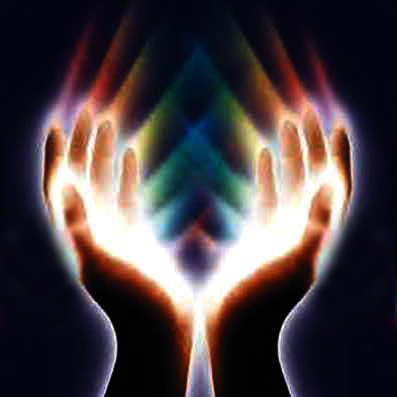 Powerfully lighting up and activating each and every one of your chakras. Reproduction or redistribution of this CD or any aspect of the CD is strictly prohibited. The frequency 528 hertz (hz) is a miraculous, ancient healing tone that creates harmony within the heart, body, mind and soul. 528 nanometers (nm) of sunlight radiates the color greenish-yellow in the color spectrum, which is also the color of chlorophyll in nature that is present in the pigment of plants. The union of Sunlight, Color and Water can be observed in natures’ rainbows (SUNLIGHT passing through WATER). Ironically, the heart of the rainbow is greenish-yellow, which is also the color metaphysically associated with our heart chakra. Furthermore, it has been shown in studies done by the late Dr. Masaru Emoto, in his book “The Hidden Messages in Water" that on a molecular level, water crystals are miraculously affected by both SOUND (Hz) and even THOUGHT (energy). Knowing that our bodies are comprised of 75% water, the effects of listening to the frequencies is REMARKABLE. All traditionally tuned music subscribes to the standard A=440hz tuning. Nefariously, this tuning will not result in the note C5 resonating to 528 Hz. To amend this issue, specific pitch augmentations are made within “iMelodicAngel Music” to tune up the songs so that the music resonates perfectly to 528 Hz. The benefits and hydro-sonic healing capabilities of properly tuned 528 Hz music is significant because 528 hz/nm resonates at the heart of the collective consciousness of universal energy ever present within our own DNA, emotions, hearts and ears. 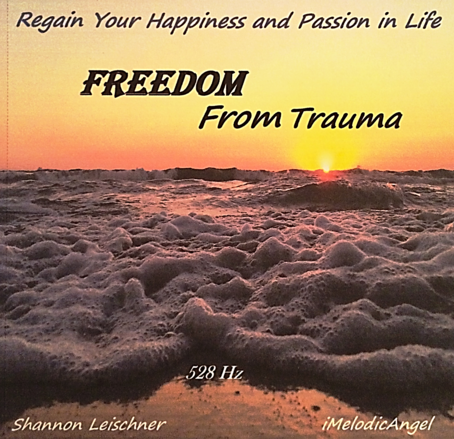 By listening to and vibrating with iMelodicAngel’s upbeat, soothing, original, electronic, heart healing 528hz music, you are experiencing true music therapy! 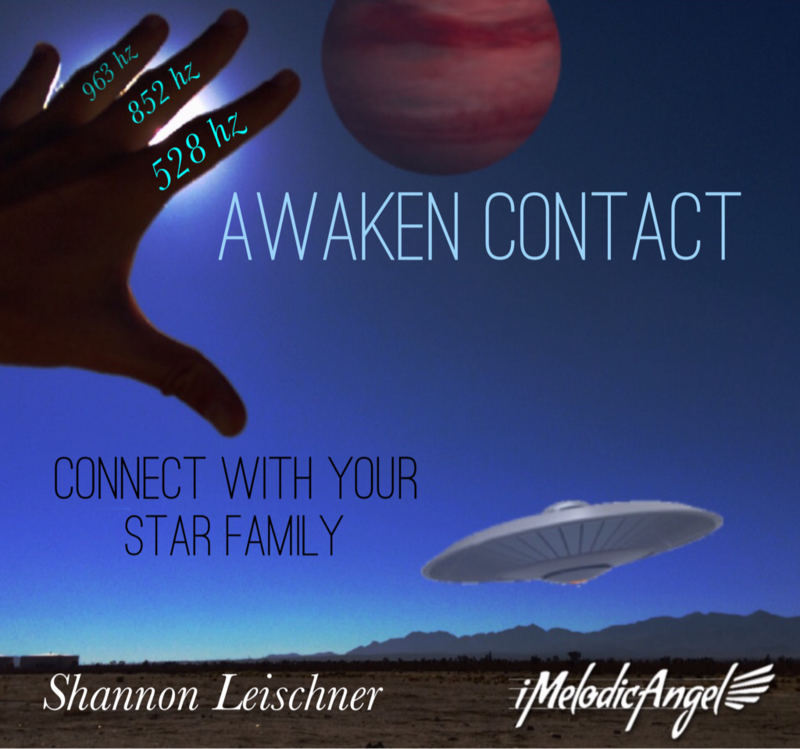 SI – 963 Hz – Intent: Reconnection to Creative Source.